Philly punkers Radiator Hospital are five albums in and roll up to Empty Shop HQ with their latest offering, Play the Songs You Like, setting the Spotify playlists of the cool kids alight and, should you wish, be available to buy at the merch table. 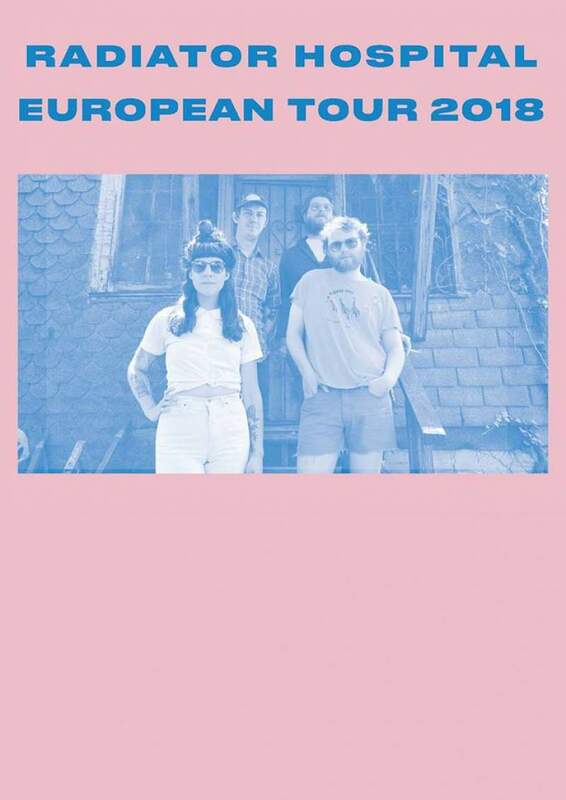 Described by Pitchfork as “scrappy underdog pop-punk with a tender heart on its sleeve,” and with a split EP with local heroes Martha to endear them to the Durham DIY crew, it’s fairly likely that this is going to be an absolute riot. Minor injuries from pogoing, signs of dehydration and racing pulses are guaranteed. Nurse! Support comes from Birmingham, Alabama sensation Elly Kingdon, who will be giving it the full acoustic treatment and busting out cute pop songs from the depths of her Bandcamp page, she’s going to warm your heart and soothe your soul. Just what the doctor ordered.